We are going to address Performance, and to a lesser degree, Sound. An overview on how exhaust systems work & how to improve them. 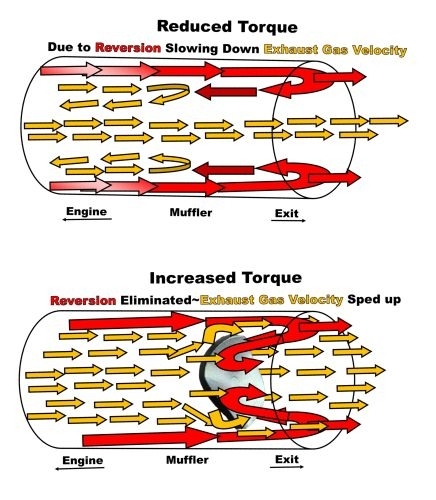 Technically exhaust systems cannot increase or decrease an engines power. However, and this is a BIG however, exhausts systems can have a profound effect on increasing or decreasing engine pumping loss. You can loosely compare engine pumping loss with adding an extra 200 lbs weight to the bike. The engine still has the same amount of power, but with the extra weight on the bike it will accelerate slower...it will feel like it has less power than it would if the extra 200 lbs was removed. Every engine will suffer to some degree from engine pumping loss. The goal of many exhaust systems (including the Thunder Torque Inserts™) is reduced engine pumping losses, resulting in more felt power at the rear wheel. If efficiency of the engine increases then fuel mileage may also increase because less throttle is needed to move the bike forward at the same speed. There are Many design factors that can affect whether an exhaust system increases or decreases engine pumping losses, far more than could be put in this report. Generally most of us that ride Harley's want the most felt (rear wheel) torque in the low to mid rpm range as possible. Inertial scavenging has a major effect on that felt power. When the exhaust valve opens two thing happen. A pulse (wave) of energy enters the exhaust pipe, generally at 1300-1700 feet per second. This can be understood as a shock wave from an explosion. The energy wave that is heading toward the end of the pipe will get to a low pressure area faster (low pressure being a bigger area of the pipe OR the end of the pipe) WHEN that happens some of the wave will reverse direction and collide with the slower moving exhaust gases that are still traveling toward the end of the pipe. This will slow down the speed of the exhaust gases. This will produce the result of less felt torque at the rear wheel. Exhaust systems that are are successful in increasing exhaust gas velocity (resulting in an increase in inertial scavenging and a decrease in engine pumping loss) will make the bike have more felt torque across the RPM band, especially in the low & mid range. Back-pressure fights AGAINST performance. Back-pressure holds back power, not unlike a 350 lb. rider will reduce acceleration more than a 150 lb. rider. It is wrongly assumed that the back-pressure that baffles create increases power. It is the reduction in reversion from baffles that increase power. The baffle is reducing power because of the back-pressure, but it is increasing power by Reversion reduction. In most cases the power gained by reduction of reversion is More than the power lost to back pressure, so there is a net gain of more power. But it is IN SPITE of back pressure, not because of it. What would be best is if there could be a reduction of reversion WITHOUT an increase in back pressure. As we’ve seen, baffles reduce reversion, but at the cost of increasing back pressure. There are a variety of other attempts at reducing reversion without increasing back pressure...but we have not seen significant benefits from any of them (torque cones, etc.) other than the decades old lollipop. Many years ago we spent countless hours working to see if we could Improve the old lollipop (washer on a bolt) design. We made dozens and dozens of prototypes, all in an effort to reduce reversion without increasing back-pressure. Street Testing and Dyno Testing of hundreds of variations finally evolved to the Thunder Torque Inserts™ seen below. They have a rounded wave shape that makes the exhaust gases flow easily over them on exit, and the cupped shape on the other side catches the reversed pulse wave (reversion), preventing it from traveling back up the exhaust tract. These are Patented due to many unique features. The bottom line is that they create very little to increase back-pressure, and in fact, speed up exhaust gas velocity because of the unique shape. At the same time they reduce reversion. and as Much Reduction in Reversion as Possible. Everyone's ears are different, and what people like for sound is varied. Take the time to listen to various bikes at rallys, bike nights, etc. Youtube can be good too. When you hear one you like, ask the owner what they are running. Better to get what you want the first time, than spend $ on multiple exhausts to find what you like. Thunder Torque Inserts™ on bike with baffles will deepen the tone a bit and increase the low and mid range torque. Take a listen to the following sound clips of 5 Different Bikes that all have an increased amount of Power from Thunder Torque Inserts™ Being Installed. On exhausts with baffles removed, but with TTI’s installed, will be loud, but as close to the old time HD sound as possible on the newer EFI bikes. They will also produce improved low and mid range power. Amazingly, stock HD slip-on’s, with the baffles removed and TTI’s installed are some of the best loud sounding exhaust, and definitely some of the best performing of all Slip-ons. Decel popping does Not damage your engine...it is simply unburnt fuel that is burning in the exhaust tract after exiting the engine. 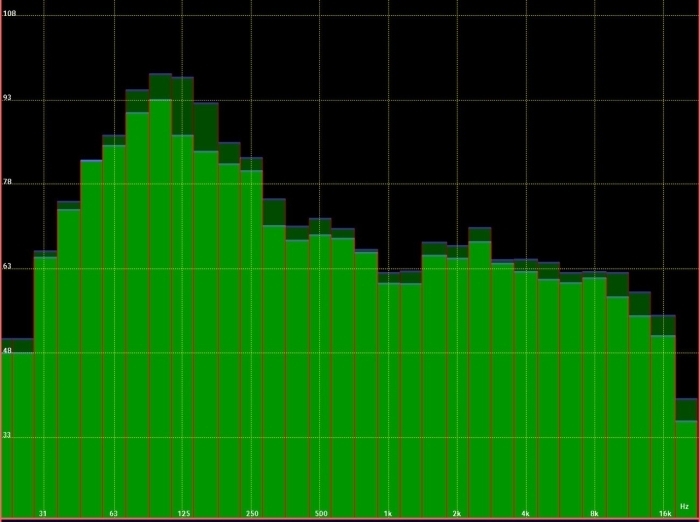 Decel popping is NOT indicative of a bad tune. Decel popping occurs when one of two things are present. 1. The bike is so lean the exhaust is superheated and is burning the unburnt fuel that is in the pipes (there is always some unburnt fuel in the pipes no matter how lean). This is very rare. 2. The AFR IN THE pipes is just right to burn the unburnt fuel. This is quite a common occurrence when free flowing pipes are installed (whether or not a free flow A/C is installed). It can also occur if there is an exhaust leak that is introducing extra air into the exhaust tract. will have decel popping. This is normal. If you have decel pop and you don't like it, (some of us do like it) then you need to do something to change the AFR in your pipes. Changing the AFR in your pipes, to get rid of decel pop can be accomplished by two different methods, or a combination of the two. 1. Install some TTI’s. This will reduce the reversion, which will result in a change of the AFR in the pipes, resulting in an elimination or reduction in decel pop. 2. Use the decel enleanment strategies on your tuner to reduce/eliminate the decel pop. Do NOT richen your entire map, this will result in a loss of performance AND decreased MPG. If you feel that your current exhaust is too loud, the Thunder Torque Inserts™ will noticeably reduce the decible levels. The comparison may seem subtle but decible measurements are not linear. For Example, 90 decibels is four times as loud as 70 decibels and 110 decibels is about 16 times as loud. "My impression of the sound is that it lost some higher pitched bark at roll-on and there was a reduction in low pitch reversion "echo" (kind of a flabby chuffing sound). 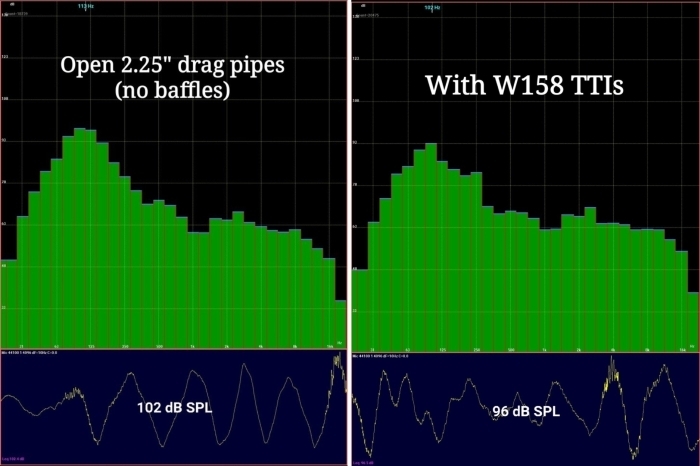 To my ear, with these pipes, the tone isn't significantly lower but it is a bit cleaner or more refined sounding"
Looks, Sound, Performance, or some combination of all three. If looks are important, choose that. 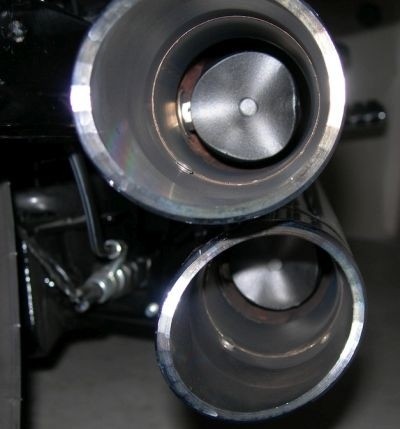 Almost any exhaust can be made quiet or loud, or anywhere in between. Understanding how exhaust works, and a with a little attention, almost any exhaust can be made to perform well.